Have you been following #jackslibrarytour? 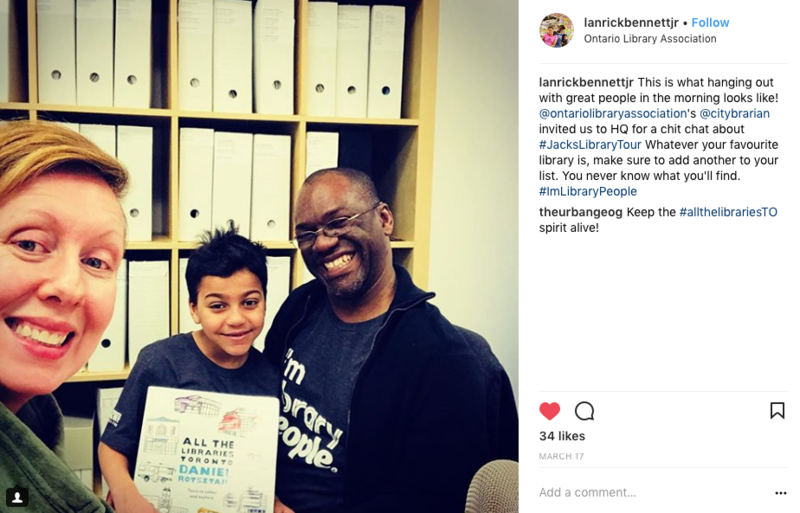 We sit down with Jack and Lanrick Bennett Jr. (@myonlinelifenow) to discuss Jack's top five favourite libraries! Jack his Father have been actively visiting libraries in the GTA and beyond, and they've been documenting all of their trips on social media. We had a great conversation about what makes a good library, and how they set out on this fantastic adventure.